Eclipse “is just… WOW. WOW!!! !“ The group consists of 6 talented vocalists who create explosive sounds, energetic rhythms, and flawless harmonies – without using any instruments. Seeing the group perform on stage is a unique live experience that will make you swear you’re being lied to. There’s a whole lot of sound, but no bands or musical instruments to be seen anywhere. These talented singers form one of the all-time great a cappella groups and have won many prestigious awards for their exceptional skills. They put on shows that are unlike anything you’ve every seen, or heard, before. Being at a live performance is an experience you won’t soon forget. After releasing their first album in 2001 it didn’t take long before they got everyone’s attention – in a big way. The 2002 Winter Olympic Ceremonies Director, Kenny Ortega, chose Eclipse as featured entertainment during the opening ceremonies. And after their sensational performance in front of a worldwide audience in the hundreds of millions, they were added as featured entertainers during the closing ceremonies as well. This amazingly successful a cappella group went on to sing for the Medals Plaza opening for acts like Nelly Furtado, Brooks and Dunn, and Train. They were instant celebrities. 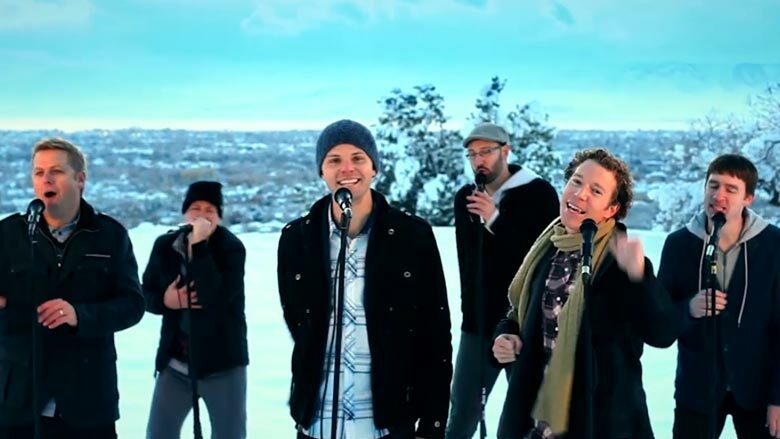 Since their big debut on international television they were featured guests at the “Stadium of Fire” with Toby Keith and Larry King, toured both the U.S.A. and Asia, and won many awards such as Best Vocal Group in Utah’s Best of State Awards, “Group Recording Artist of the Year” and “Holiday Album of the Year,” at the Pearl Awards, and many others.